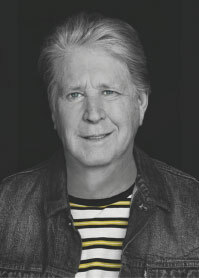 A Songwriters Hall of Fame inductee and recipient of the Ivor Novello Award for Lifetime Achievement, Brian Wilson is one of popular music’s most revered figures, the main creative force behind some of the most cherished recordings in rock history. The first was Pet Sounds. Universally acclaimed for its ambition and sophistication, Pet Sounds is widely acknowledged as one of the most influential albums of all time. Primarily working with a new collaborator, lyricist and songwriter Tony Asher, Wilson produced a masterpiece that still stands at number 2 in the Rolling Stone ‘500 Greatest Albums of All Time’ list, only beaten to the top spot by The Beatles’ Sgt Pepper. This entry was posted in festivals, folk, Here Is The News..., Music, news and tagged Brian Wilson, classic albums, Cropredy, Fairport Convention, festival, folk, Pet Sounds, pop, the Beach Boys on March 17, 2018 by The Rock 'N' Roll Oatcake.